This past week saw the first American victim of the best and brightest Barack Obama has welcomed into the warm embrace of the United States. We now have confirmed reports that a Border Patrol officer has contracted scabies from the unaccompanied minors he was tending to, rather than performing his job, i.e. protecting the American public. If a contagious skin disease isn’t enough to sour you on the stream of Central Americans being distributed throughout the United States, how do you feel about a potential tuberculosis outbreak? Not deterred by the wasting disease? 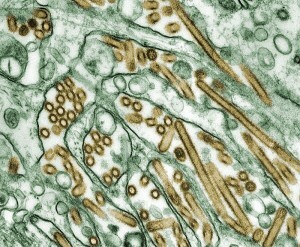 How about a nice influenza epidemic? Yes, that’s right. There are now recorded cases of the H1N1 virus among our newest batch of undocumented citizens, much to the consternation of open borders demagogues like Ruben Navarette, who have been reassuring a skeptical public for the past month that fears of disease were merely the hyperbolic bogeymen of xenophobic, right wing racists. After all, who would have suspected that severely dehydrated, malnourished children traveling in large groups from third world countries which host a bevy of tropical illnesses, and which have poor public health systems, could be a vector for disease?! You would need to be a virtual Nostradamus to have predicted that this sort of untrammeled mass immigration from developing nations would have negative repercussions for the American public. Rest assured though, there’s absolutely no chance that these isolated incidents will turn into a deadly pandemic. After all, when was the last time that a grand social experiment had catastrophically negative consequences? This entry was posted on July 7, 2014 at 2:17 PM and is filed under News. You can follow any responses to this entry through the RSS 2.0 feed.